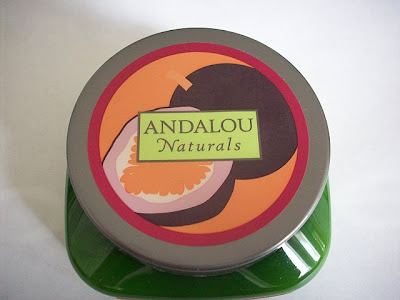 MakeUpNotDown: Andalou Naturals Body Butter Review and GIVEAWAY! - CLOSED! Andalou Naturals Body Butter Review and GIVEAWAY! - CLOSED! 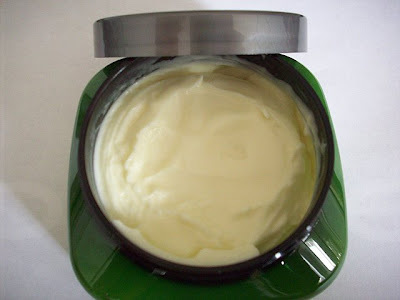 A couple of weeks ago the folks over at Andalou Naturals sent me this amazing body butter to review. If you aren't familiar with the company here's a few tidbits. Andalou means "Path of Light." 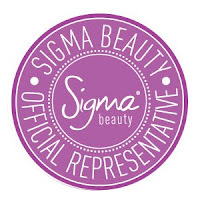 This reflects their goal to foster good things and enrich lives through skin, hair, and body care products. The company uses Advanced Fruit Stem Cell Science blended with natural and fair-trade ingredients to make a product that is good for people and the environment. Did you know? For every Andalou.com sale and newsletter subscription, the company donates $1 to one of their four charitable organizations. Greatness! Don't you love a company that gives back? You know what else I love? The body butter they sent me. Read on to find out why, you'll probably love this stuff too! Immediately when I opened the jar the scent reminded me of a split open mango with an unripened banana stuck in it. That's really the only way I can describe it LOL. Fresh and light are the two main words that come to mind. 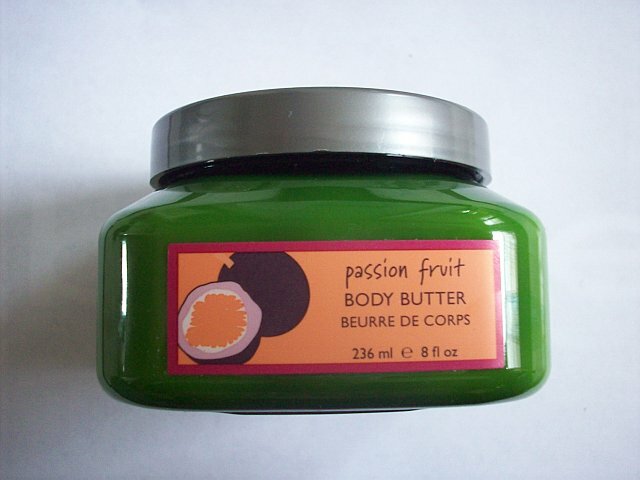 The passion fruit scent is simple. I definitely know it's there, but it doesn't overwhelm me. I only wish it had more of a fruity smell to it. However, the scent did last a long time. Not only does the scent last, but a little of this body butter goes a long way. I like it for daily use on the hands and feet or anything else that feels rough and dry. It has a whipped texture and you don’t need a large amount because it spreads out evenly and disappears into the skin very quickly. It nourishes and moisturizes your skin, softening and suppling things up. 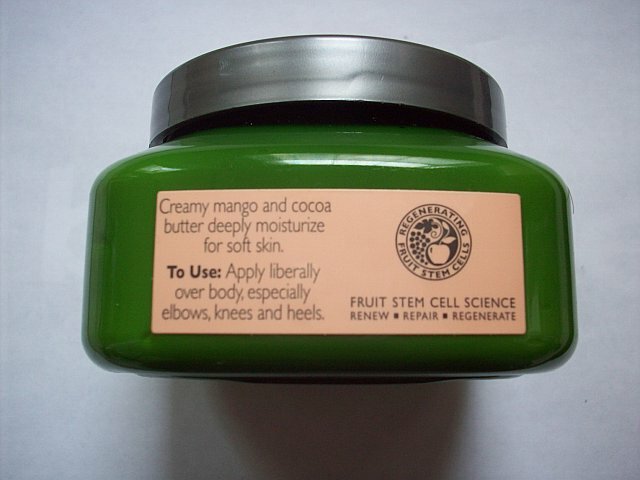 Unlike other products that have Shea Butter in it, this one doesn't leave your hands sticky and oily. I don't know about you but I hate when I use a body butter and a yucky fingerprint is left behind. Especially on my keyboard at work...drives me NUTS! An 8 oz. jar of this will last a long time. 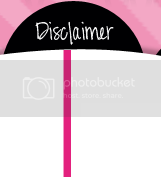 Its available on their site for $13.95 or you have the chance to win it here on Makeup Not Down! 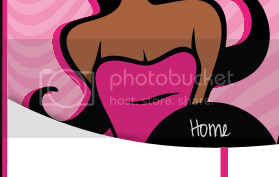 *does the running man* One fortunate Makeup Not Down reader will win a body butter of choice from Andalou Naturals. YAY! Refresh your browser or view the post using a different browser. ﻿Mandatory entries MUST BE DONE or all other entries do not count. Each entry must be accomplished exactly as it's stated. You can do each entry type ONE TIME ONLY unless otherwise specified. 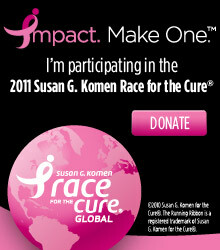 Make sure to leave a valid email address in the email field so I can contact you if you win. If you already follow or like me via Facebook, Twitter, or Google Friend Connect it's okay because the entries still count! 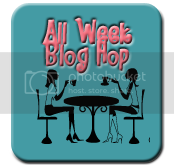 I accidentally entered my blog name as my facebook name in rafflecopter. Got it! Thanks for entering and GL! A brilliant prize offering. Who doesn't enjoy smelling great?